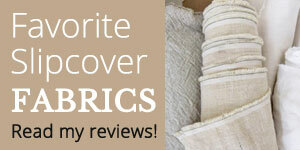 Slipcover Business Consulting for aspiring slipcover makers. Book a consult with me and learn how to start and grow your business like a pro. The Slipcover Maker’s Story. Launching a slipcover business was my chance to start over. Read how I got started.